Please cut the nail with nail clipper first if your dog's nails are very long. 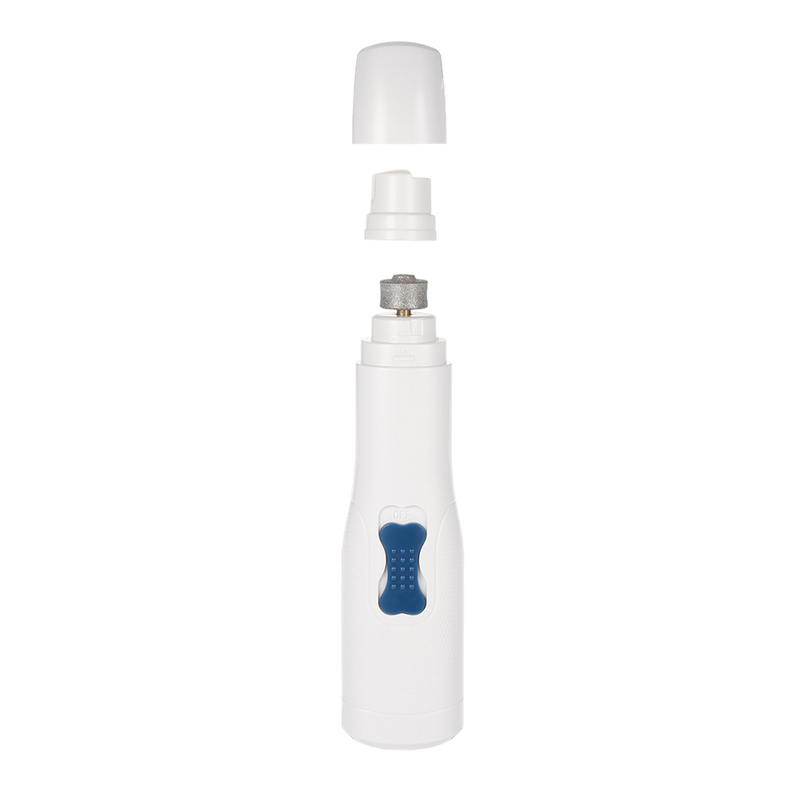 Won't cut or hurt pet's sensitive tissue and nerves like clippers. 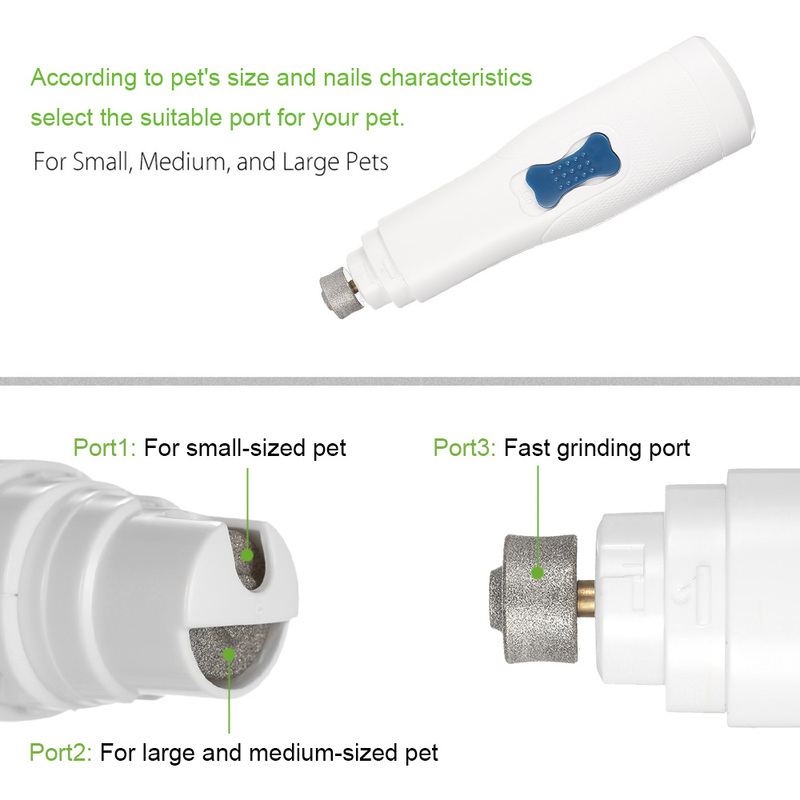 Step 1: According to pet's size and nails characteristics, select the suitable port for your pet. Port 1 is for small-sized pets to grind nails; Port 2 is for medium and large pets; Port 3 (side) is for fast grinding. Step 2: Holding nail grinder with right hand, open the switch of the nail grinder. 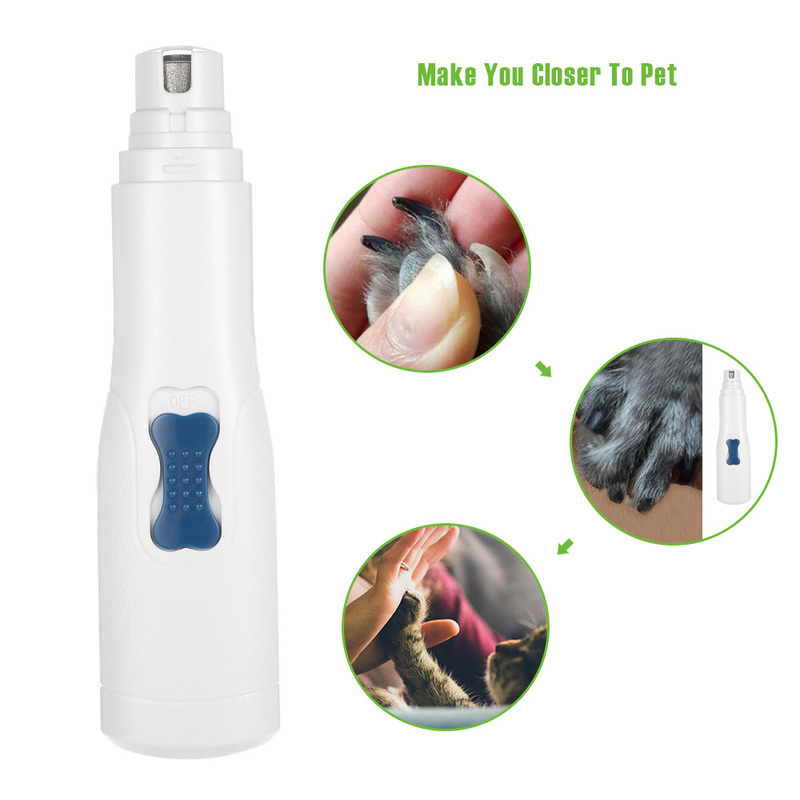 Pinch pet's paws with left hand, put pet's nail gently into the hole, you can begin to grind the pet nails. 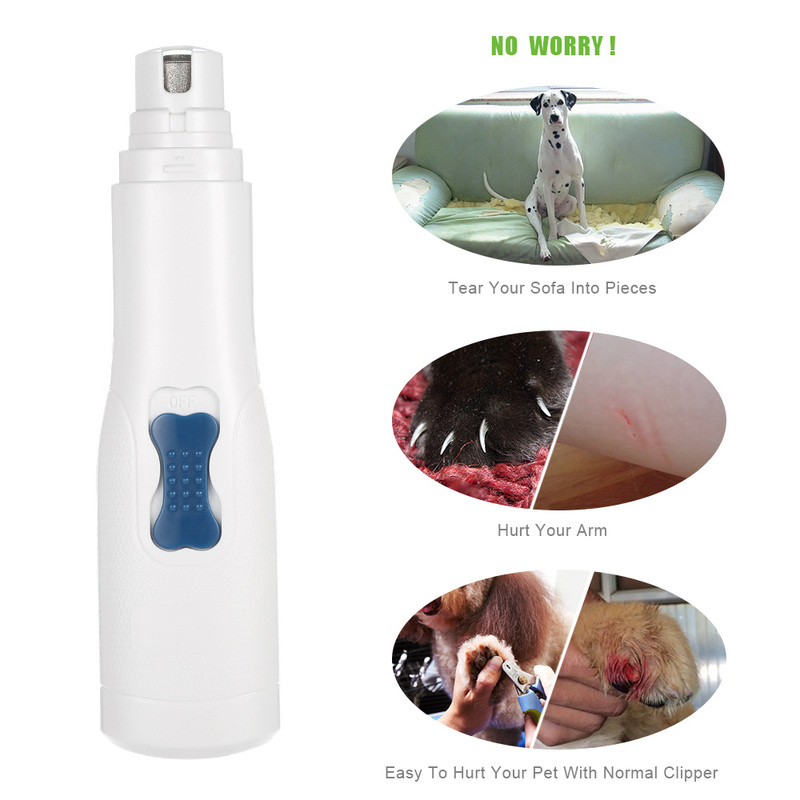 ● For pet's safety, it should be less than 5 seconds for each grinding time, to adjust the grooming angle of the pet nails.